If you’re considering making upgrades to your home, there’s probably one aspect you haven’t thought of: your windows. Many homeowners don’t replace their windows when they should, but your windows can seriously affect your home from its temperature to your energy bill. Look for the following signs if you’re wondering whether or not it’s time to replace your windows. Just like the rest of your home, your windows can show signs of age over the years – but when your windows age, it can cause serious problems. Windows can break, become inoperable, and pose problems once they become damaged or warped. All of these details can make your windows ineffective or unusable, which means you need to replace them before they cause greater damage or changes to your home and within your home. If you’ve noticed your energy bill has been growing more expensive each month, your windows might be the culprit. According to Energy.gov¹, your windows can drive your energy costs up as they get older and increasingly ineffective – drafty windows can lead to an increase of anywhere between 10 and 25 percent on your monthly energy bills. If there’s any way for heat or air conditioning to escape through windows with gaps, cracks, or poor insulation, it’ll quickly drive up your costs as a homeowner. When you’re paying more to cool or heat your home, it’s time to replace your windows. Your home’s windows should be effective at helping your home hold its temperature, keeping the sun’s heat out and protecting you from cool drafts while protecting any heating or cooling your appliances are doing too. Over time, the exterior of your home can begin to look worn down and outdated. And while some of this occurs because of changes in home design trends, bright sunlight and harsh weather can really add to the wear and tear on your home’s exterior appearance. And that aging can leave your windows worn and worse for the wear too. 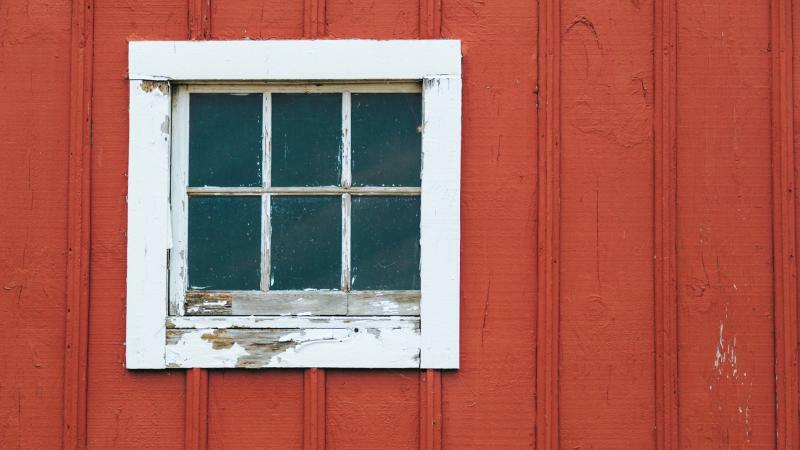 As Forbes² explains, windows can develop fading around their trim or insulation, warping of old screens and frames, and a general “old” or aged appearance. These are all signs that it’s time to upgrade and update your windows. When your current windows start to show their age, replacing them with newer versions can make a world of difference to your home and its facade. You can change the shape and size to give your home a more modern look, or you can choose to change out your windows for an entirely different style – like windows that open out rather than up and down. Living in an area that’s prone to or has recently experienced severe weather, like a hurricane, can leave a lasting effect on your windows. When severe storms strike, they can damage your windows – from cracks and dents to damaged frames, weather can result in the need for new windows. Even living in an area where weather has a constant effect can mean you need to replace your windows. Factors like sea salt, humidity, and dramatic temperature swings can cause your windows to age rapidly. And these weather changes can leave lasting damage even if they don’t outright destroy your home’s windows. To make your home a bit sturdier, consider replacing your windows that are designed to withstand extreme weather and severe storms. These different types of windows can be thicker and better able to hold up against everything from ice storms to hurricanes to harsh sunlight. When you’re ready to replace your windows, it’s important to choose windows that suit your home and your needs. You want to improve your window rather than simply replace them – and choosing the right type of windows can make a world of difference in their lifespan, their insulation, and your costs. Wood double-hung: These windows have a wood frame and two operating sash that allow you to open the window from the top, bottom, or both simultaneously. Vinyl double-hung: These windows are just like wood double-hung windows, but their frames are made from vinyl. Fiberglass double-hung: Like wood and vinyl double-hung windows, this fiberglass version features a different frame but can be open from the bottom, top, or both ends. Wood casement: These windows, which feature wood frames, are hinged at the sides and open outward, like a door. Vinyl casement: These windows are identical to wood casement windows, but they feature a vinyl frame instead. Now that you know the signs of aging windows and your options for replacing them, you’re ready to find the right windows for your home. Your next step is to figure out how you’ll replace your windows at an affordable price. And the best way to do this is to compare pricing and quotes from contractors in your local area. When the weather warms up, home renovations and upgrades begin – and in order to attract new business, contractors will often offer incentives, discounts, and special offers. Search for contractors near you who can replace your windows, and make sure to get quotes and prices. You can then easily compare these prices and any available deals to ensure you’re getting the lowest possible price.